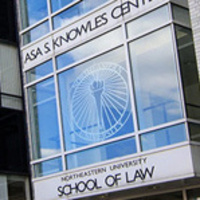 Save the date for the 11th annual Women in the Law Conference on Friday, May 17th, 2019 at Northeastern University School of Law! NUSL's annual Women in the Law Conference provides career guidance and professional development growth to women attorneys and other professionals at all stages of their careers, and brings together powerful decision makers from Boston and beyond. Visit the Women in the Law webpage for a full conference schedule and more information!